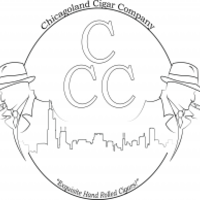 The Chicagoland Cigar Company (CCC) is currently an Indiegogo project that Jim Daunis Jr and his father are working to get started. They preach quality and consistency of a small boutique blend that is consumer and community focused. For a donation to their cause, they have two different cigar lines to choose from as perks – the Draco and the Swashbuckler. Both in the medium bodied road. In addition they have limited edition artwork that is only for this promotion. The perks, of course, go up as you go along (all the way to rolling at an event for you or even your own personal blend). What’s even more interesting is if you don’t feel the perks are quite right, you can contact them and they will work with you to figure something out. If that’s not customer service, I don’t know what is. Cigar Rights of America members will also receive additional cigars with a donation. If nothing else, this is the chance to be a part of something beginning from the ground up. Chip in and give Jim a hand. Stop by the Indiegogo page and check out what he has to say.